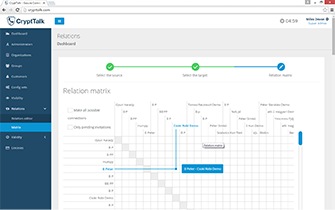 CryptTalk uses a peer-to-peer approach with an end-to-end encryption architecture, directly connecting the communicating parties. No central servers are involved. Encryption happens on each user's device. Only the communicating parties have access to the one-time encryption keys, so only they can decipher the calls and messages. Third party access, including by CryptTalk staff, is impossible. is a standard feature of CryptTalk. Other secure communication services focus on the encryption. They do not verify the identity of the parties. 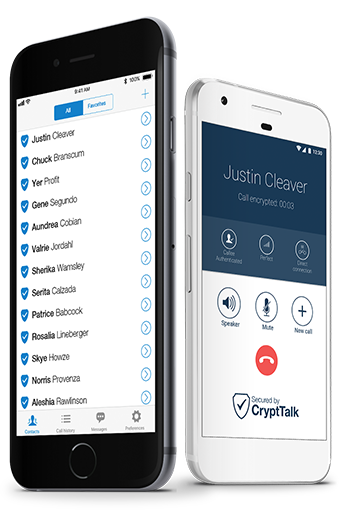 The authentication used by CryptTalk ensures that the person at the other end of the call is indeed the one you want to communicate with. CryptTalk also protects against man-in-the-middle attacks. CryptTalk's security is ensured by Best Practice encryption. We use the Diffie-Hellman method of key exchange to establish a short-term, shared secret encryption key. This is never fully transmitted over the network. Voice and message data is then encrypted using this short-term shared secret key. 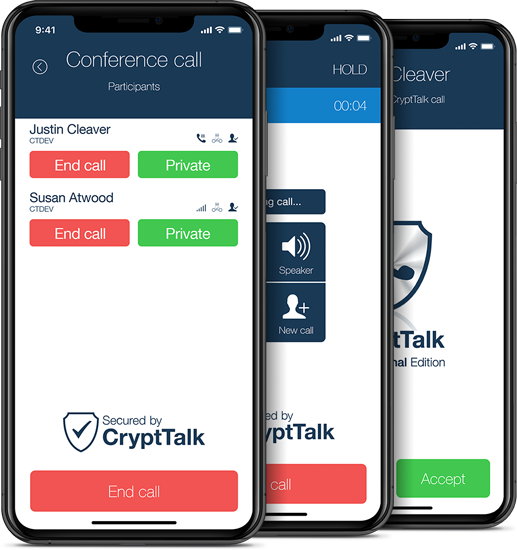 Thus even if a CryptTalk user's device is compromised in the future, previously used encryption keys cannot be recovered and all past communications remain secure. Continuously updated and regularly security reviewed to protect your privacy. System administrators will find CryptTalk's business solutions easy to configure and maintain. 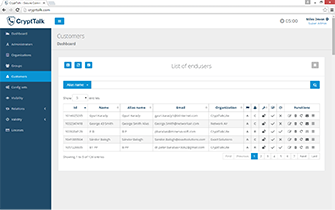 The user management interface allows adding CryptTalk users from outside the enterprise in a trusted yet secure manner. All user management procedures can be made compliant to match the strictest internal company policies. By default, the CryptTalk service is hosted by Arenim Technologies AB. 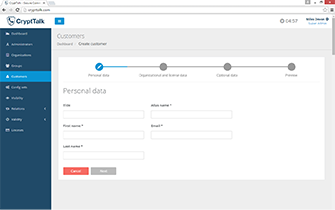 However, should your IT or security policy require it, the CryptTalk backend can be installed in a dedicated private cloud or in your company's internal network.